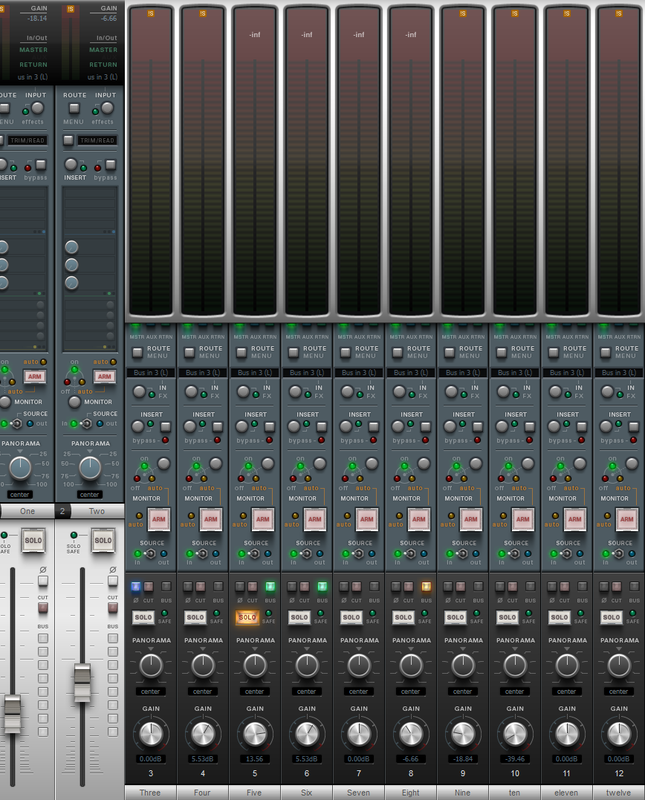 Usually, an interface is all about compromise. The needs of the laptop user cannot be ignored. 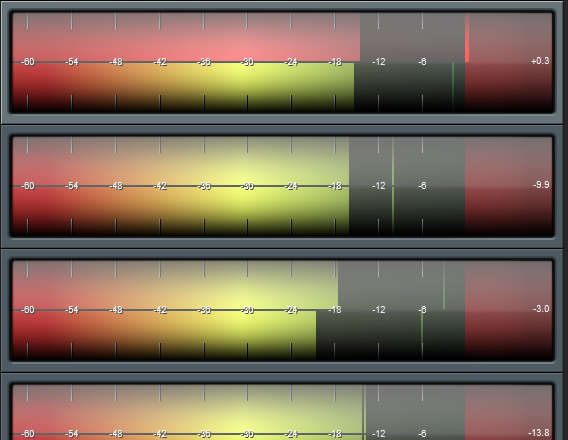 But in REAPER, the depth of customisability allows themes to be specialised - and Imperial is just such a theme. 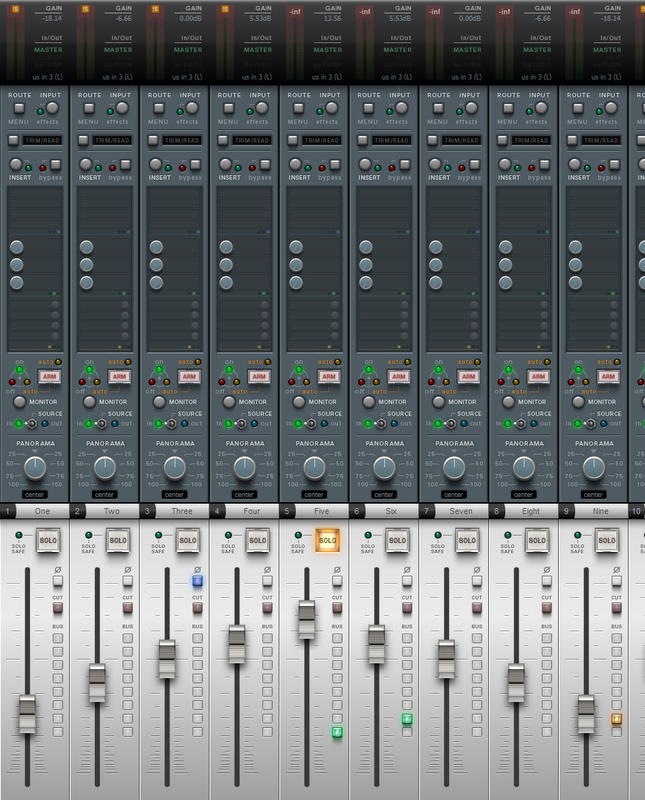 If you have several high-resolution screens, can that space be better utilised than just showing more and more tracks? How about showing everything you need, at all times? Generous fader throws? 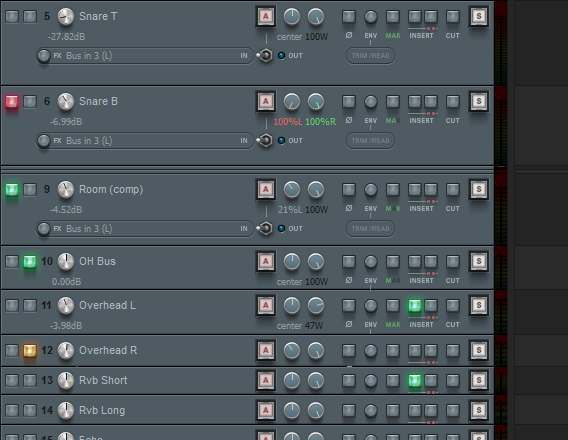 Controls grouped by function rather than space considerations? These are Imperial's goals. 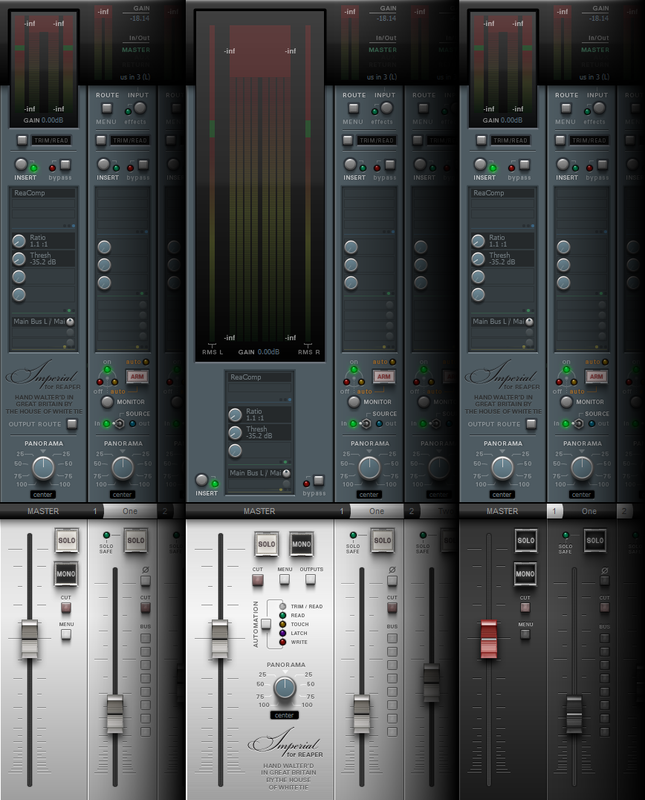 Inperial features many alternate layouts, both for overall focussing of the interface during specific workflow stages, and also to apply to individual tracks that might have individual control requirements or would benefit from in-mix visual differentiation. 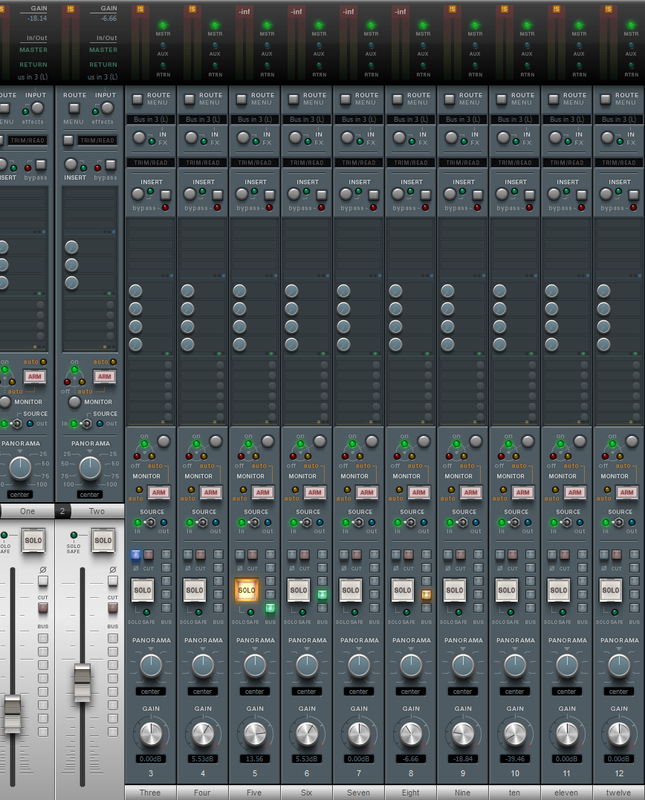 The liquid-width Track Control Panel (TCP) progressively reveals more function buttons AND a longer track name as you increase its width, and buttons never, ever change row. With great thanks to an esteemed testing crew, this theme has been tested under fire and the lessons learned to ensure first class levels of functionality in high pressure, real world scenarios. 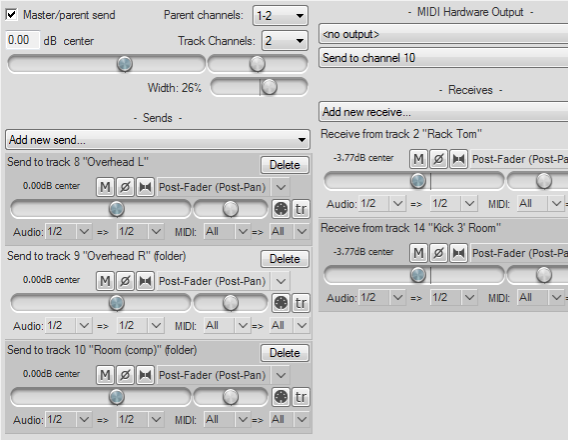 Meterbridge style header with adjacent gain readouts - for an uninterupted mix overview. 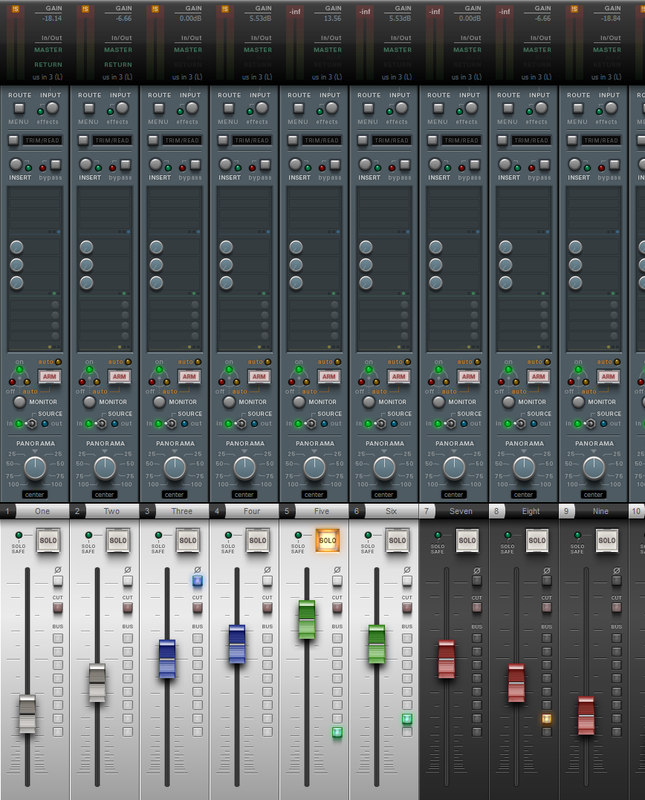 TCP layout with an 'always first-row' fader - for clear 'relative level' feedback even in large track count projects. Some buttons and elements are very large, some are very small (only the size they might be in a 'normal' theme) - derived from direct user observation. Clear labeling, in words, where practical - not cryptic icons. Here it is, help yourself. Imperial is a .ReaperThemeZip, so all you need to do is download the file to somewhere, then double click on it, or drag it into an open window of REAPER. Requires REAPER v4.25 or newer. 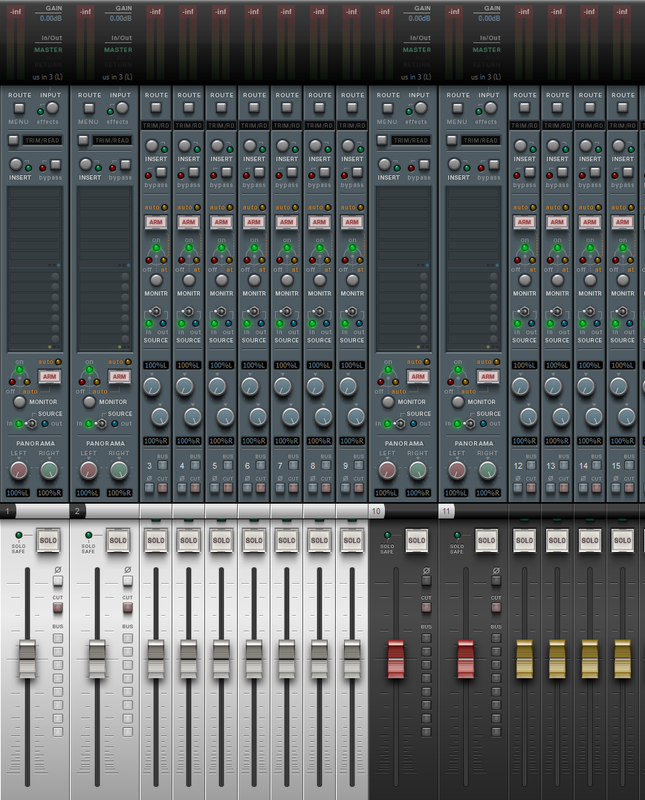 A large range of mixer layouts are provided - several for visual grouping, and three with focussed functionality and reduced controls for specialised workflow. 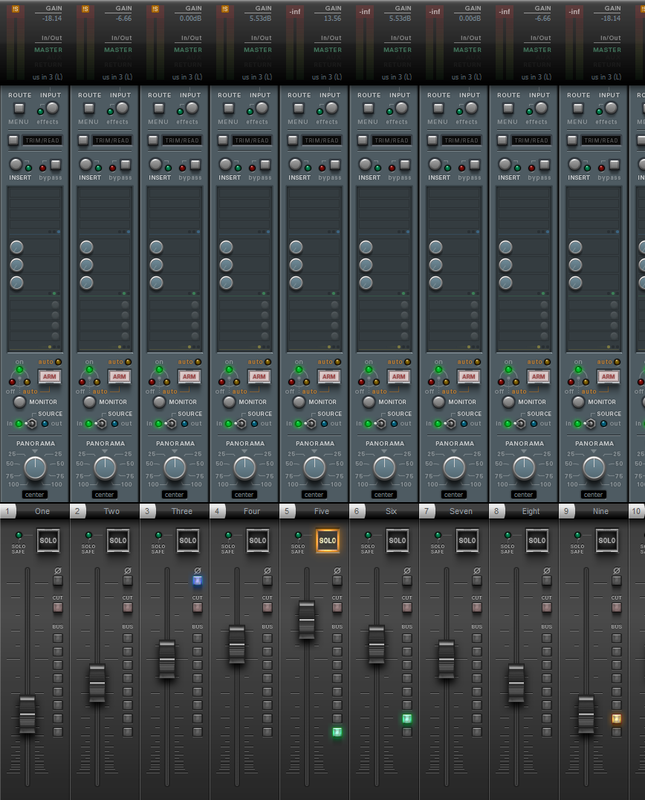 All monitoring, record routing and arming controls are grouped in one section. 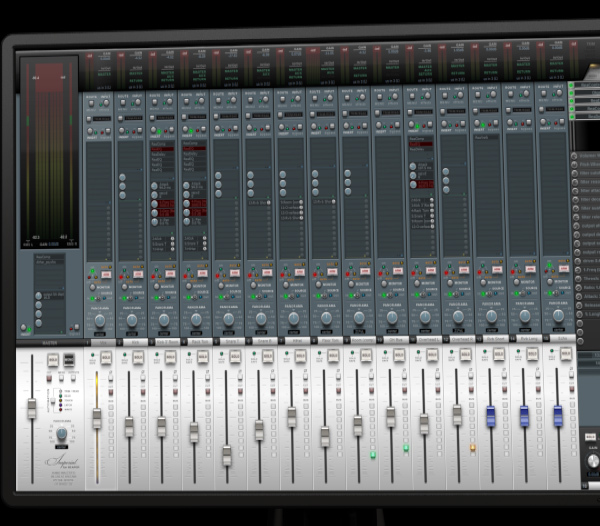 The expansive 'Master of the Universe' layout features a master meter large enough for clear and detailed feedback on high track-count surround output. 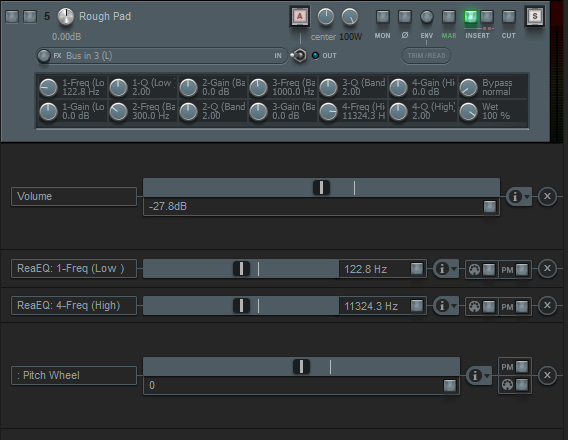 Auto-switching pan-control based on the project or per-track mode - stereo balance, stereo pan & width, or dual pan. 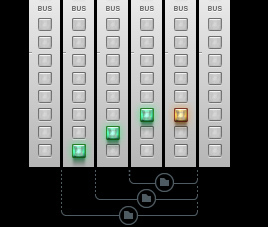 The Bus indicators display each track's folder status, and even its position in the folder heirarchy - up to 8 nested folders deep. This theme requires you to create or modify your folder hierarchies using the TCP 'drag&drop' technique. Imperial is designed expecting you to use the mixer. 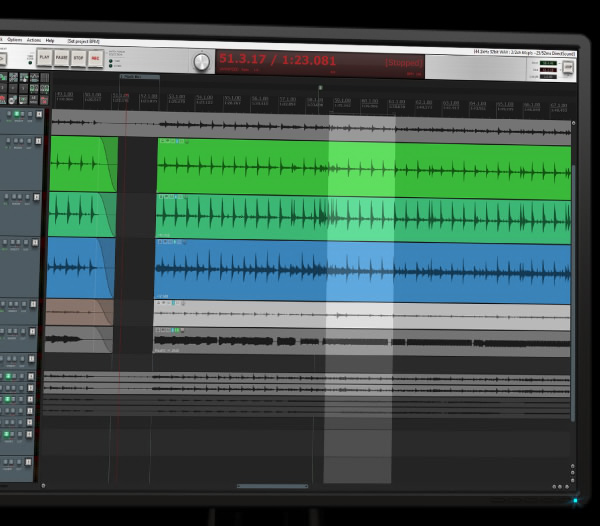 This allows for more focussed functionality on the Track Panels, such as flawless multi-track swiping and no element row swapping. The control you're looking for will always be wherever you last saw it. Much of Imperial is styled as hardware, but only as far as it makes sense. There are no screw heads or other non-functional 'is this a control?' elements. The envelope panels and arrange window are 'purely software', and are styled accordingly. Where REAPER mixes themed and OS elements, the themed elements have been styled to flatter the OS elements as much as possible. The track panel arrangement has been optimised for the greater width practical on large screens, and the swipe bonus this brings. 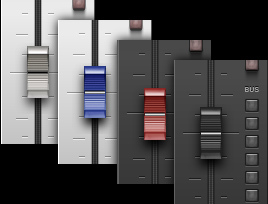 On fully minimised tracks, you need only grow a single track slightly to provide a column key to all controls on all other tracks. 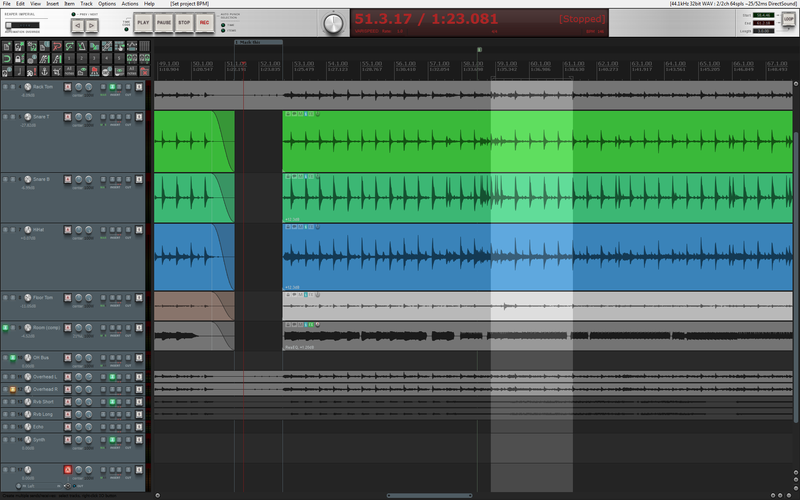 Arm, mute, solo multiple tracks in one quick swipe (REAPER only actually cares where you start); no elements occupy the same column. Don't forget you create sends by swiping from the routing (Master Aux Return) button. Why does this theme look so bad on my laptop? Its unusable! I'm afraid you've got bigger problems than that. It also won't work on your toaster. I'm delighted to hear any bug reports so I may fix them, please head over to the REAPER forum. Will you make me a modification? 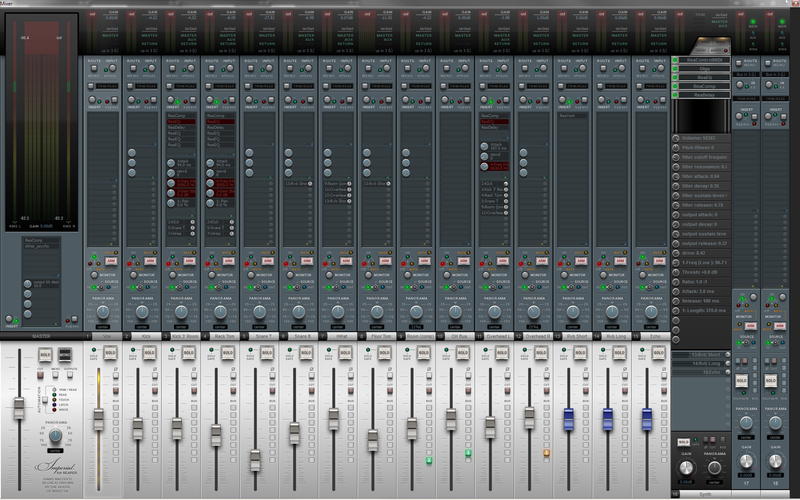 My screens are big, but far away ...some elements are too small. Why? 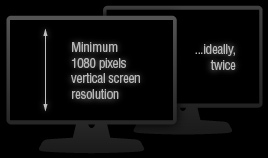 Because your screens are far away - the small elements are actually 'standard size'. 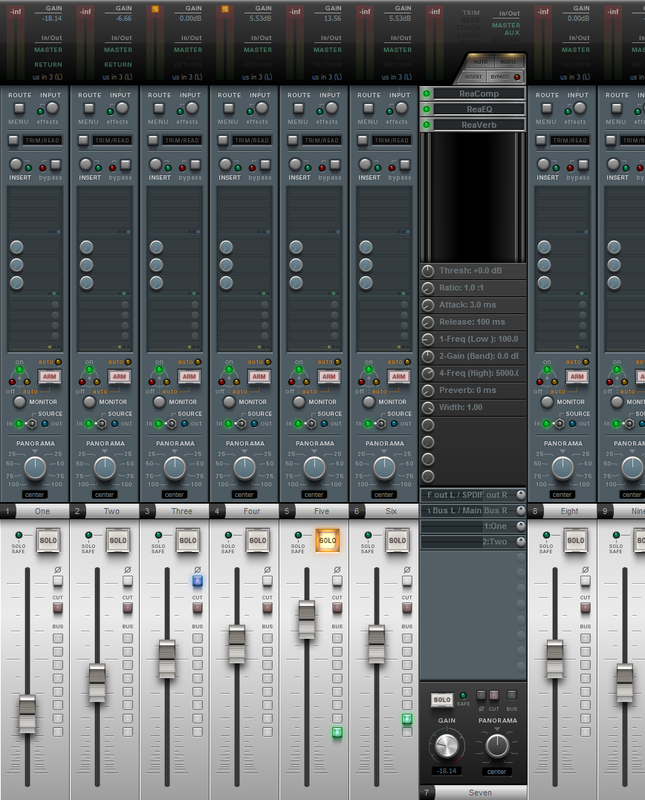 Imperial is not a replacement for 'blown up' themes or users who use REAPER's 'Scale UI elements' feature. Choosing to use this theme grants you no rights whatsoever to anything else. Please do not infer any expectation or entitlement of ..well... anything. Thanks to the mighty yet lovely Cockos. Thanks to my wonderful testers, I grovel in tearful appreciation of your generous patience, care, persistance and rigour. 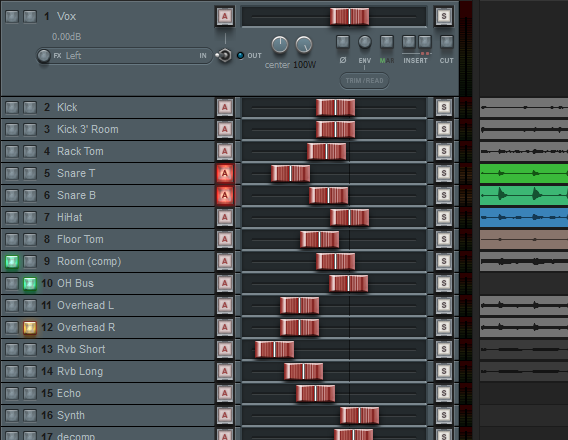 I would have had a horrible time trying to do this without you, and the resulting theme would have been pants. You may use, edit, extract and generally do what you like with this theme (or any part of it) to make other REAPER themes, without asking. Please, be my guest. You may not demand, request or accept payment in any form for anything based on this theme, using any of its elements, or with development based upon it in any way. You got it for free; it stays free. Please overlay, append or alter any 'Imperial' branding on the theme with 'customised', 'modified' or some such indicator, and show it in your screenshots, so that the users know what's mine and what's not. You don't have to give me credit, but it would be appreciated!